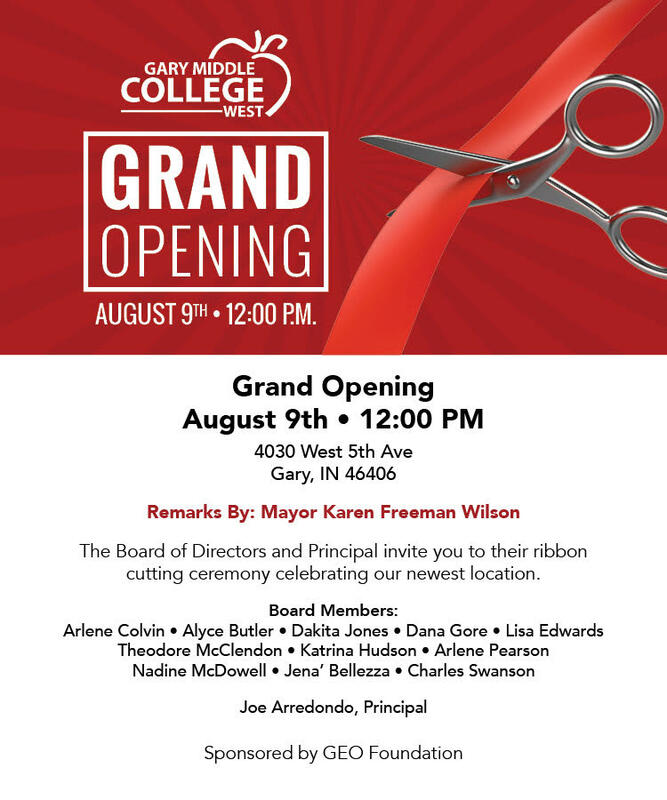 Yes, we will celebrate a second ribbon cutting in as many weeks. This time, we are in Gary, Indiana for the opening of our third location. We opened 21st Century Charter School in 2005 and now serve more than 950 students in grades K-12 and regularly graduate high school students complete with Associate degrees and even one student earned her Bachelor of Arts degree while in our high school. 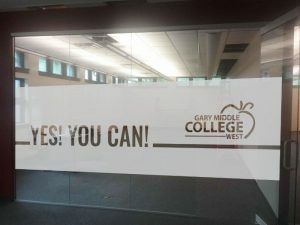 In 2012, we opened Gary Middle College to serve 16 and up students who want a non-traditional high school AND earn college credits, career certifications, and degrees. This week, we are opening Gary Middle College West to help us serve students from the westside as well as from East Chicago and Hammond and other communities. Please join us and check out our new digs. 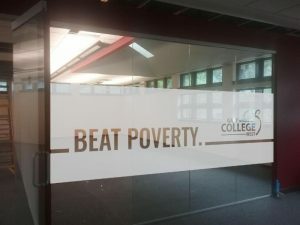 It’s a pretty exciting educational space. Some pics are below. Glasswork looking into one of our classrooms. Let’s keep changing the world together!